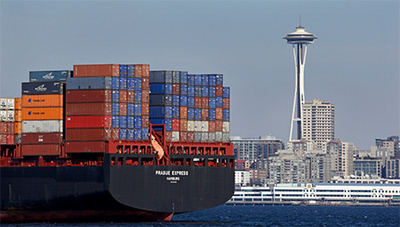 According to the US Census data on trade, the US ran about a $500 billion net trade deficit in Goods and Services with the rest of the world in 2016. The US runs a larger deficit when looking only at Goods (such as manufactures, agriculture, etc. ), at $750 billion, while the county runs a surplus of about $250 billion in Services (such as business services, finance, information technology, etc.). Broken down by country, the largest Goods deficits are with China (over $54 billion in the first two months of 2017) and Mexico, as well as Saudi Arabia (petroleum imports) and the European Union. In Services, it is noteworthy that the US runs sizable surpluses with all of these same countries. As the Trump administration looks to improve the US trade position, the underlying presumption of this executive order is that these trade deficits may emanate from unfair practices on the part of US trading partners. Unfair impediments could range from prohibited subsidies, inappropriate barriers to US exports, or manipulation of exchange rates. In order to create jobs, bring in more fairness to exchanges, and update mutual relationships, the President’s executive order plans to provide the empirical basis for an anticipated newly equilibrated trade policy. After all, it has been 70 years since the global trade institutions still in charge today were designed and implemented. It will be important to clearly understand what deficit numbers mean. Take the example of Saudi Arabia. Despite recent increases in domestic oil production thanks to fracking, the US remains a net importer of oil. We weaken the doctrine formulated by Henry Kissinger to keep our oil reserves in the ground if possible and import from others willing to deplete their stock. That way, Dr. Kissinger declared, we will hold crucial reserves for emergencies. In an era of new technologies, such a shift in doctrine makes sense, but it does also affect national security concerns if rapid shifts are required. Published trade numbers do not show underlying supply chains and cross-border value added activities. Ever since the 1994 creation of NAFTA, many US companies, such as the auto industry, have developed cross-border supply chains. Parts and components are produced in the United States and shipped to Mexico, where they are assembled and shipped back to the US as a finished car. Under current accounting, Mexico runs a surplus as their export is measured as the whole value of the car. This “deficit” hides the real value of the trade – cheaper cars for consumers, more domestic jobs producing components, and higher wages for our neighbor to the South, which in turn reduces immigration problems. As Commerce and USTR get ready to dig into the trade numbers, they may not like all they’ll find – “deficits” tell only part of the story, and many American jobs count on the global supply chains and resource imports. Doing comprehensive research on trade and its limited reporting is valuable input for future new policy formulation. This is also the time for our allies and trading partners to come forward with their trade data insights to help make the picture clear, complete, and transparent. What is intriguing about today's economists who, together with some judges, claim complete political objectivity and non-partnership, is the emphasis on trade deficits and the neglect of Democracy and distributive justice deficits.